Hortensia and Marion, neighbours in an upscale South African residential community, have existed side by side in enmity for many years. Hortensia is black and prickly. Marion is white and bigoted. Both have led unusually significant professional lives, the former as a fabric designer, the latter as an architect. Both are elderly and have endured challenging marriages. Marion is a widow; Hortensia – whose husband has been fading for some while – will shortly be one too. And now, towards the end, they find themselves having to deal with each other. 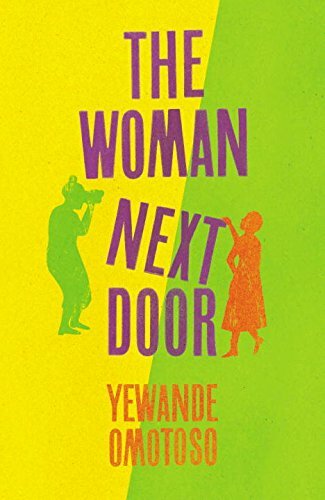 This promising scenario, the underpinnings of South African writer/architect Omotoso’s second work of fiction, leads to an oxymoronic novel, at times gritty, at others ‘heartwarming’. It can be powerful when considering personal pain, predictable when weaving connection between the matched bookends of its major characters. The causes of Hortensia’s snappish short fuse and Marion’s knee-jerk racism are unscrambled as the book proceeds, and softened by aspects of its development. Yet it’s their bald dislike and confrontations that entertain more. When rapprochement begins to loom, the book falls into a rut of inevitability and starts to deflate. It is, however, a story with a sturdy spine, namely the account of these two women’s different yet overlapping backstories. Hortensia’s roots are in the Caribbean. She and her family moved to the UK in the fifties and suffered many of the stigmas and insults of the era. Marion’s parents were European refugees and her journey to professional achievement was a different yet parallel obstacle course of social negativity. And then there’s the issue of marriage and children, another quicksand topic that causes the women to look back with differing yet strangely matched levels of regret. 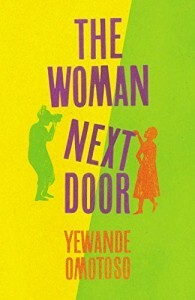 Neatly crafted and freshly phrased, The Woman Next Door offers upper middle-brow women’s fiction with some originality but not quite enough steel. However, for its perspective and polish, and its celebration of all things female – including aging, sometimes disgracefully – it deserves attention.